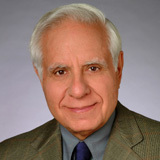 Lewis (Lew) N. Wolff is Co-founder and Chairman of Maritz, Wolff & Co. and is based in Los Angeles, CA. In addition to his role with Maritz, Wolff & Co., Mr. Wolff is Chairman of Wolff DiNapoli, a real estate development and management firm based in southern California. Mr. Wolff has been engaged in the acquisition, development ownership, management, financing and disposition of real estate assets since 1965. Mr. Wolff is on the board of Comerica-California. He was formerly a partner of the general partnership of the Golden State Warriors professional basketball team and formerly a partial owner of the St. Louis Blues professional hockey team. Mr. Wolff received a B.A. degree from the University of Wisconsin, Madison and an M.B.A. at Washington University, St. Louis, Missouri.